being little • bristol uk fashion & lifestyle blog. 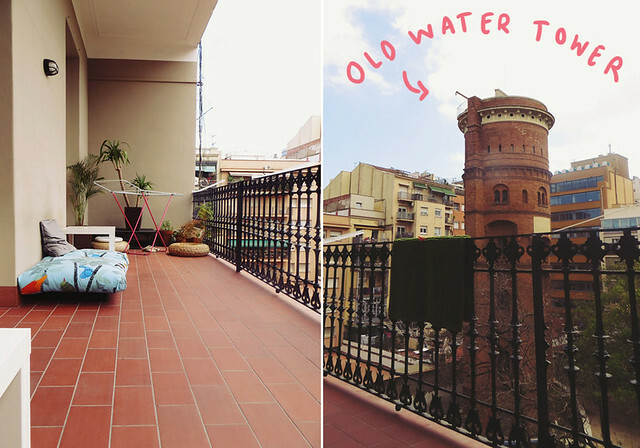 : barcelona: where we stayed. 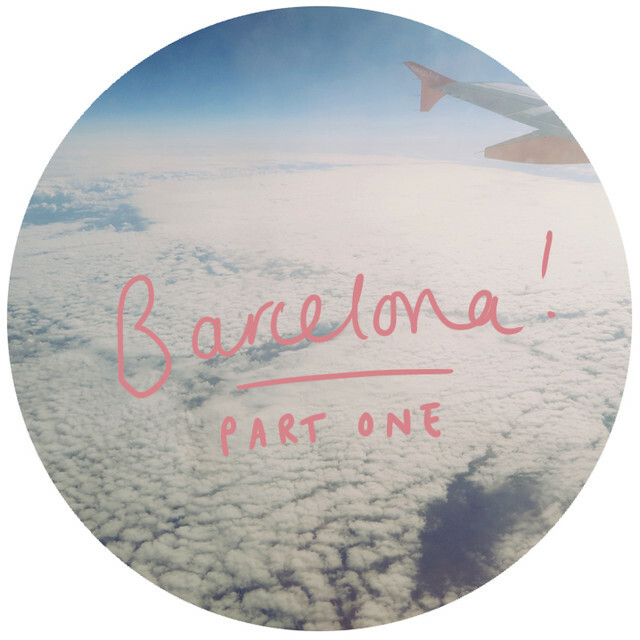 First up, our short journey from Bristol to Barcelona (it took about 1 hour 45 I believe!) 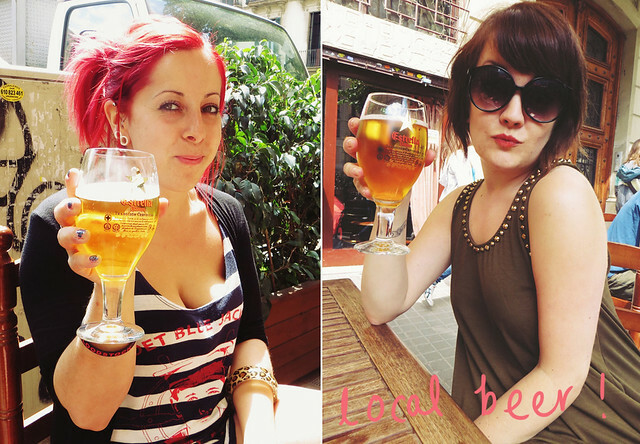 we got to the hostel early, so dumped our bags with our lovely host, Ernesto, and went down to the local bar for a local beer! Yum! 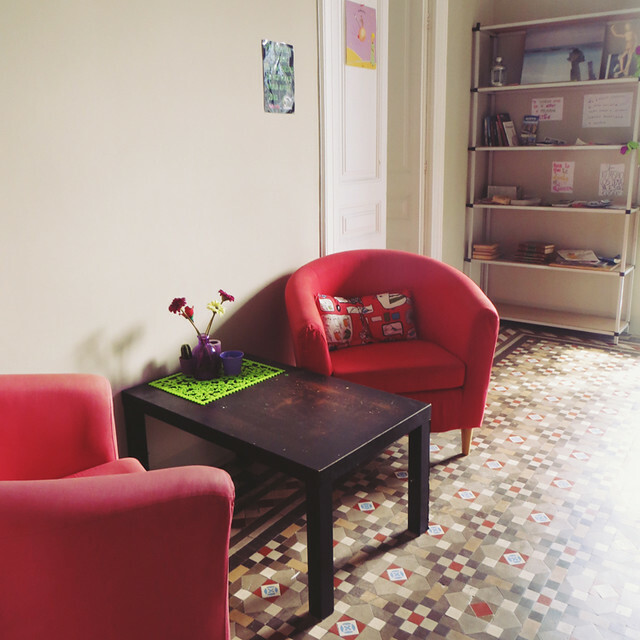 Our wonderful hostel, Fabrizzio Petit Palace, is just north of Plaça de Catalunya, pictured below. 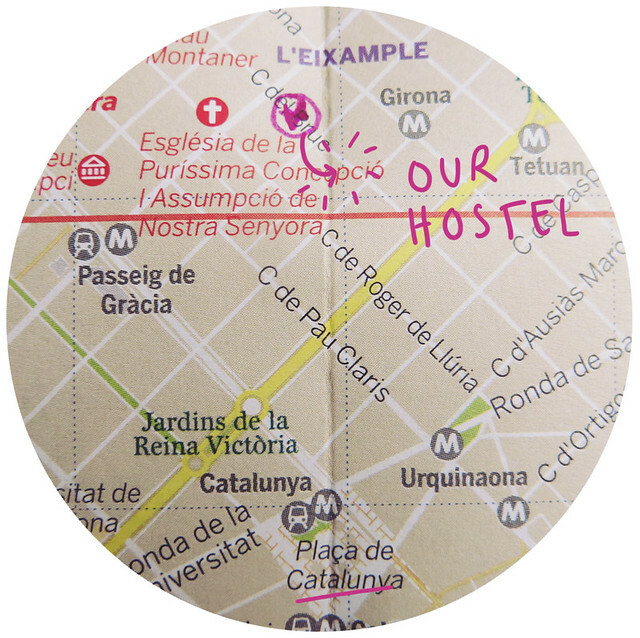 We managed to figure out how to get the bus from the airport to Catalunya and navigate our way to the hostel, after wandering down C del Bruc for a while..
We found that it wasn't far from there at all, so quite close to La Rambla and also within walking distance of La Sagrada Familia! 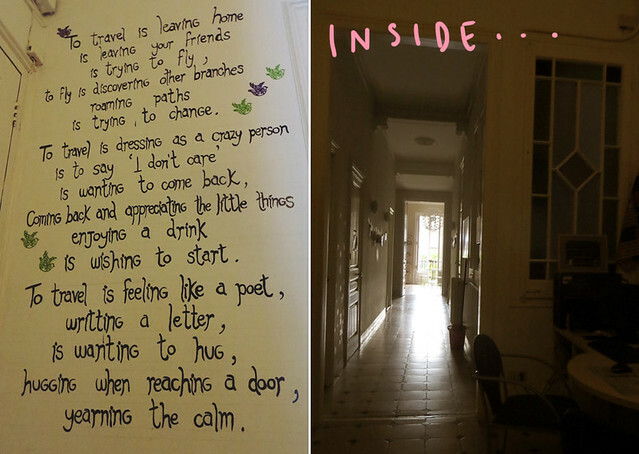 This was my first time staying in a hostel, and after hearing a few horror stories, I think I got extremely lucky! We had a private double room as we are both tiny humans and didn't mind sharing a bed! And it was HUGE! Plenty of space for all of our stuff! The other rooms seemed nice too - one slightly smaller double room, and a few dorm rooms. There were also lots of shared spaces - a few bathrooms, a kitchen with everything you could need, a lounge area with massive telly and computers for the guests to use, a dining area and a terrace/balcony outside, which looks over a park with a big old water tower. 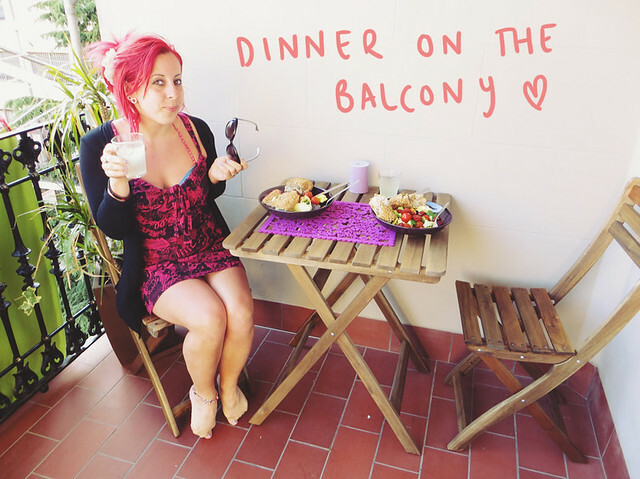 When we were at the hostel, we spent most of our time out on the balcony - drinking, eating stuff we'd cooked up in the kitchen (mainly chorizo bought from the local supermarket) and chatting to other guests. 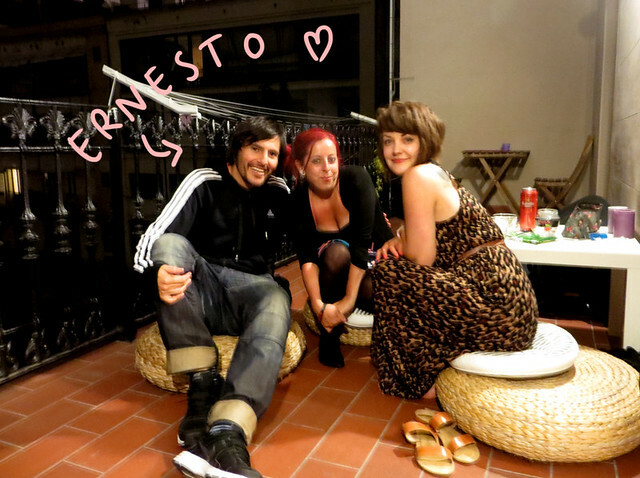 The best thing about our stay at Fabrizzio Petit Palace however, was our host Ernesto. He was so friendly and welcoming, gave us loads of information and made us feel at home. We had a little chat with him everyday, and he even gave me a kiss and some extra eggs on my birthday morning! Charli and I were very sad to say goodbye to him, and keep reminiscing about how sweet he was! 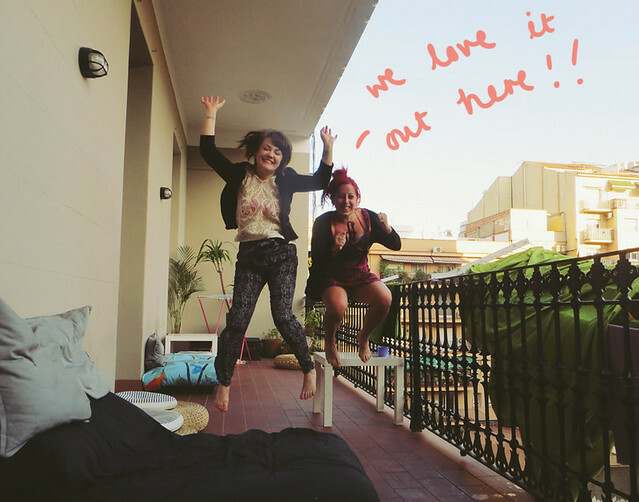 READ MY OTHER BARCELONA BLOG POSTS HERE! I love Barcelona! I've been there a few times and it's such a fun city :) Seems like you had an awesome time! Great post! 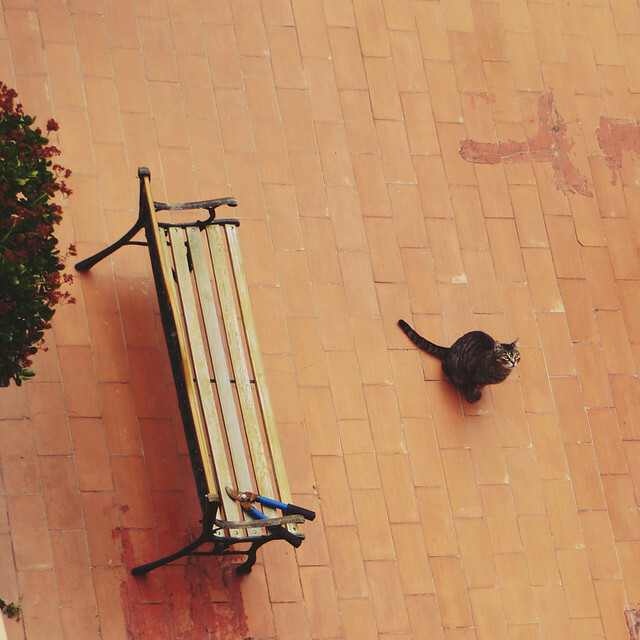 I´m from Barcelona and I can say that the city has a special charm that makes you want to return. 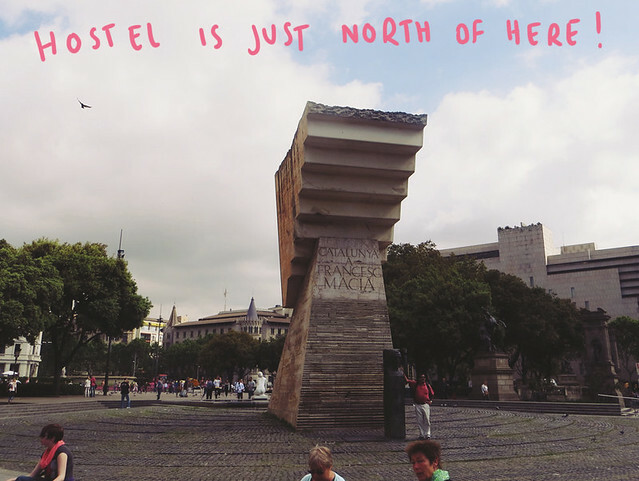 That looks and sounds like a fab hostel! Great photos, looks like you had a great time. 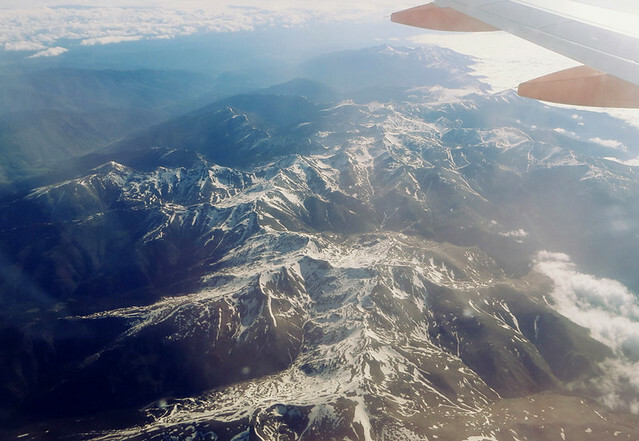 I would love to go to Barcelona! 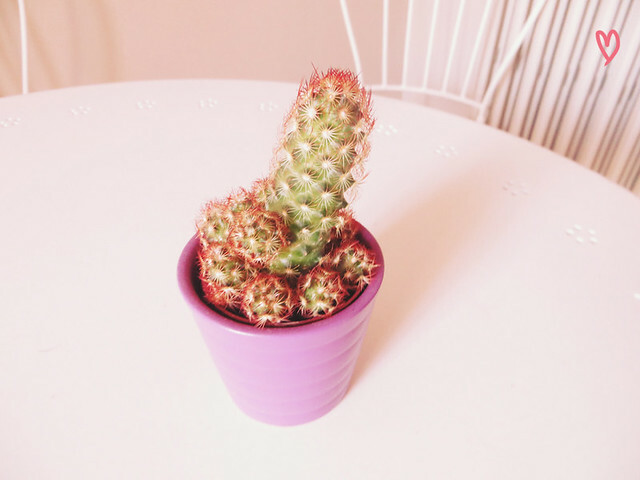 Hey, great post! 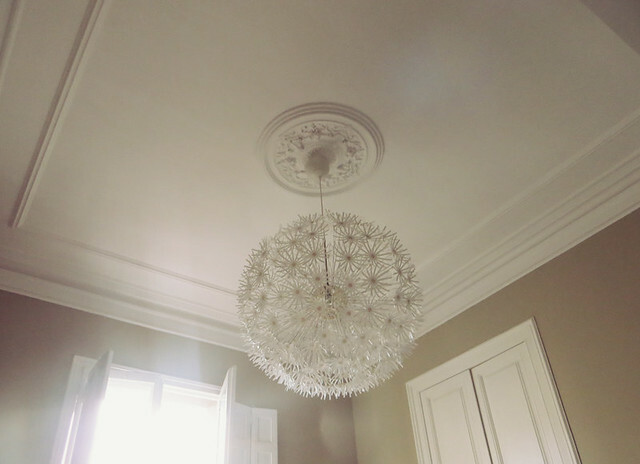 I Just came across your blog and I love it, your style is amazing! Barcelona looks beautiful!!! 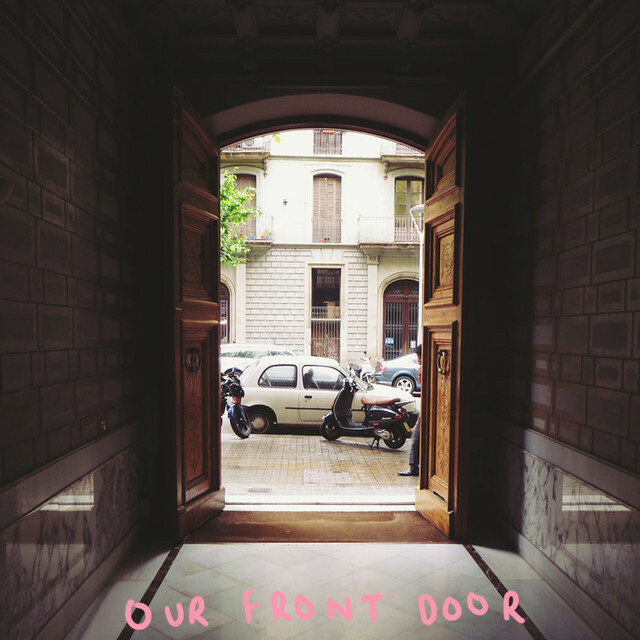 And I love the way you put the blogpost together, what a nice way of editing photos! This is weird! 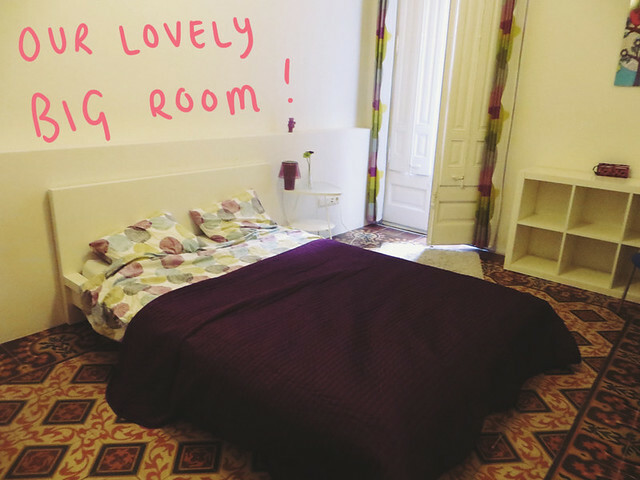 I just went to Barcelona with my friends on an impromptu trip and stayed in what I thought was this hostel but from your pictures we stayed in a diff room - it was in a house with several levels, perhaps we were on a different floor? 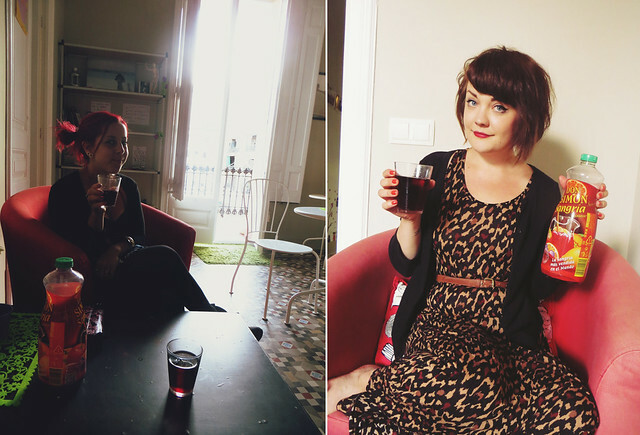 Our host was very nice and we had a tapas evening! I've talked to you briefly on Instagram too, I'm from Devon and recommended a Nigel Slater book! I love your blog! this is getting me so excited, i go in a bout 6 weeks! AHHH. I've never been either so i can't bloody wait. I love the writing on the wall! I've never stayed in a Hostel before, truthfully I don't know if I could after hearing countless horror stories. I'd doubt I would get lucky and find a nice one like you. Look amazing! 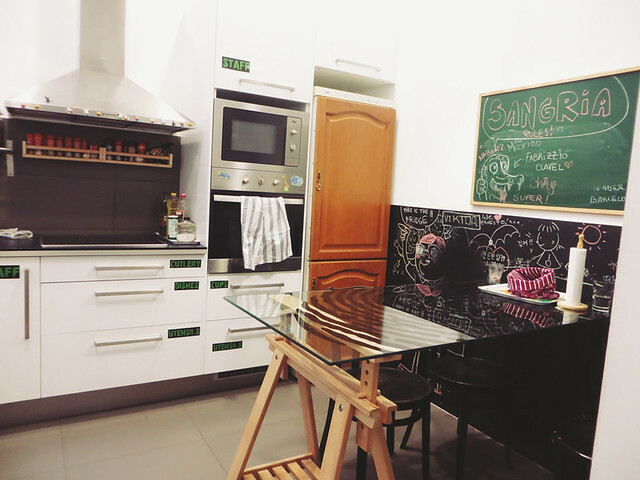 The hostel is so cute! Lovely to see that you enjoyed exploring our city! Looking forward to seeing your other 6 posts dedicated to it.